Black wooden mantel clock with pendulum. 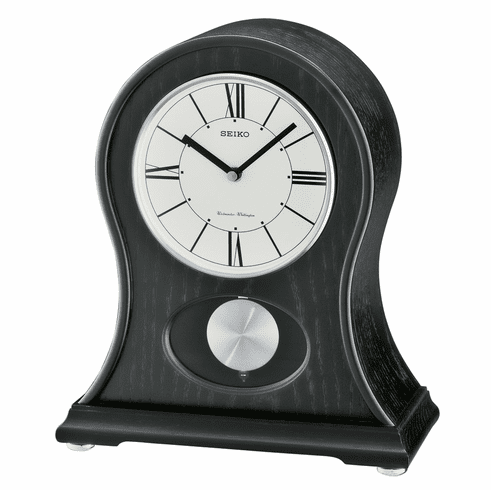 Features a black wooden case, pendulum, Westminster/Whittington quarter-hour chime, hourly strikes, nighttime chime silencer, and volume control. Requires one "C" battery (included). Dimensions: H: 12-1/4", W: 8-1/2", D: 4-1/4"